6 View business card files. Made in USA. 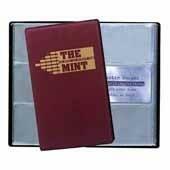 Size : 4 1/2" W x 7 1/2" H (folded) Imprint: 3 7/8" W x 6 3/8" H Weight: 46 lbs / 100 Pcs. Standard Packaging: Bulk. 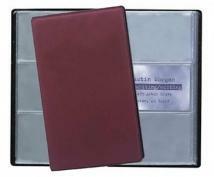 Buy 6-View Business Card File Today!